Lunettes anti lumière bleue : lunettes anti fatigue ou lunettes gaming, les meilleures lunettes de repos des yeux. Horizane “Blue light blocking” glasses: glasses to block Blue light and protect your eyes! Horizane Blue light blocking glasses protect you from all kinds of screens as they block Blue light and reduce reflection from flat screens. They are glasses to help your eyes have some rest which is essential for those who want to save their “vision capital”. Horizane « Blue light blocking”glasses are available in pharmacies without prescription. Itchy eyes, visual tiredness, difficulty to sleep… What if these symptoms were underlining your overexposure to digital device? Screens are part of our daily life, either at home or at work. We spend around 50 hours a week in front of a screen: smartphone, ipad, computer, tv, video games,… And the trend is constantly growing! This repeated and long-lasting exposure has numerous consequences on your eye’s health: LED screens transmit very strong light waves called “Blue light” or “HVE” (high visible energy). These waves are harmful for our eyes in the long run and our eye health can be badly affected. In order to answer the growing need of eye protection from the screens, Horizane has developed a range of « Blue light blocking” glasses. These « Blue light blocking” glasses are equipped with a special filter blocking up to 50% of the Blue light. This filter is the result of the most advanced research. “Gamer glasses” to play (or gaming glasses), “computer glasses” (or glasses for screens), “daily glasses” (for watching screens), Horizane Blue light blocking glasses give your eyes all the protection they need against screens. It is the must-have solution to be connected while taking care of your eyes. Blue light glasses, blue light filter, blue light blocking lenses… But what is blue light? Light is made of rays of different wavelengths. Each wavelength has its own color. The spectrum of visible light goes from Purple to Red and this is what human beings can see. Blue light rays are strong thus dangerous. It is what is called High Visible Energy light (HVE). Close to Blue light rays and even stronger are the ultraviolet rays which are dreadful for the eyes. It is important to know that “HVE” and “UV” are thought to be responsible for cataract (opacification of the lens) and AMD (age-related macular degeneration), human being eye disease. Most of television, computer and ipad’s flat screens are important sources of Blue light as they are made of LEDs. LED screens are everywhere starting with video games for children and development of computer science at school. Flat screens are everywhere: either at home or in public transportation or public places, in your professional environment or even during your daily or leisure activities. Children and adult’s eyes are almost always overexposed to Blue light which is very harmful. This overexposure to Blue light in our everyday lives leads to increased necessity of protecting our eyes. Horizane Santé decided to address this need by offering Blue light blocking glasses available in pharmacies. Visual tiredness is caused by overexposure to Blue light. – Sore and itchy eyes. – Cataract, caused by opacification of the lens. – Age-related macular degeneration (AMD), as Blue light is damaging the retina thus increasing AMD. Horizane Blue light blocking glasses: glasses with a blue light filter (BBS). Horizane Blue light blocking glasses have lenses equipped with a high technology blue light blocking filter. 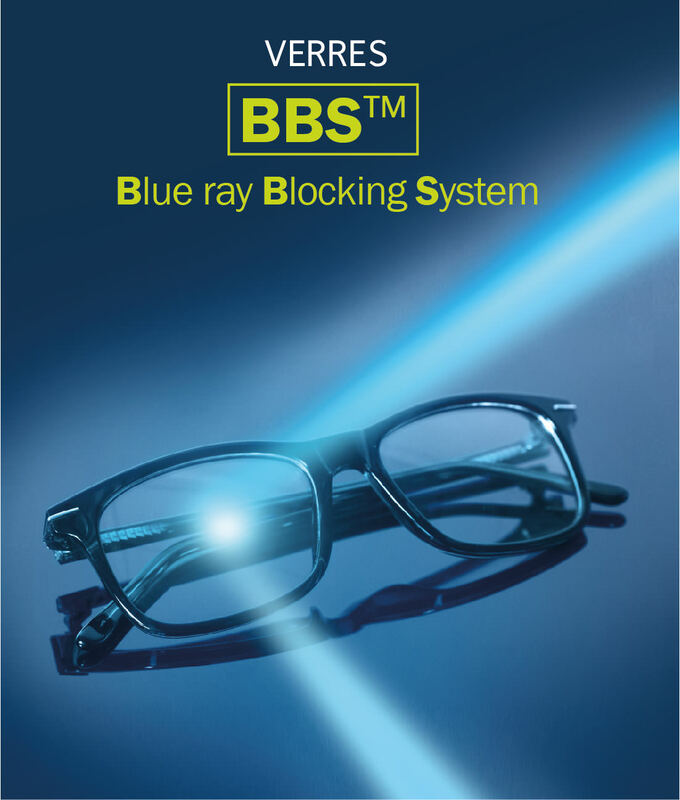 This high technicity component is called « Blue Ray Blocking System » or “BBS” acronym. – It filters up to 50% of the Blue light. – It protects against 100% of UV. – It helps preserving your visual capital. → The front filter (5 layers), blocking 100% of UV and Blue light. → The back filter (7 layers), improving brightness. Wearing Horizane blue light blocking glasses protect from the Blue light (Blue rays) and substantially reduces visual tiredness caused by LED screens.